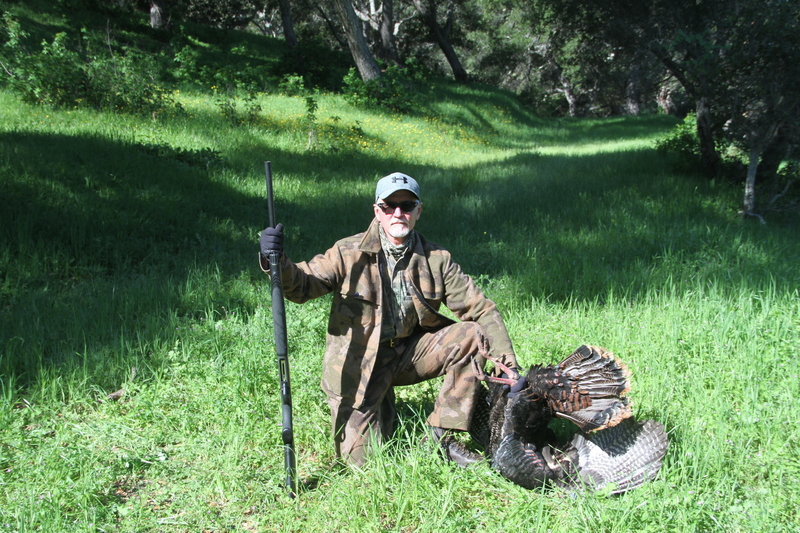 Central Coast Outfitters offers spring turkey hunts in San Luis Obispo and Southern Monterey Counties. We have four private ranches that we hunt, two in San Luis Obispo County and two in Southern Monterey County. The season starts in the last weekend of March and ends the first weekend in May. The Central Coast of California is absolutely beautiful this time of year. These ranches are full of big toms in the spring. There is nothing quite like working a big old tom into range. 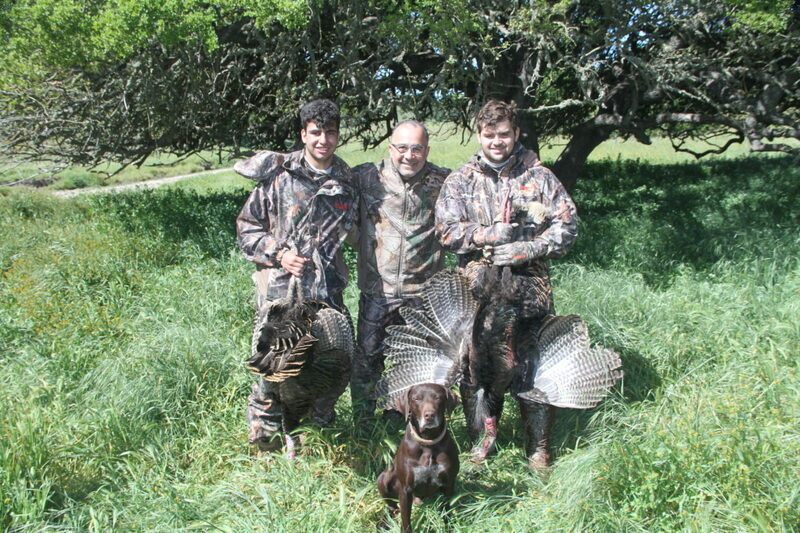 Our Fall turkey hunts are conducted on a beautiful ranch in San Benito County. On this hunt you stay right on the ranch in a wonderful lodge where you can see the San Benito River ambling along. This lodge has a huge living room with a fireplace, which is a great place to come in and relax after a day’s hunt. All suites have their own bathrooms; some suites have their own fireplace. In the afternoon and evening you can sit out on the porch and watch the big toms strut their way to the roost and most evenings you will hear the toms gobbling on their way to the roost from this wonderful lodge. This hunt is conducted on one of the most premier hunting properties on the Central Coast of California.